Timeless baubles. 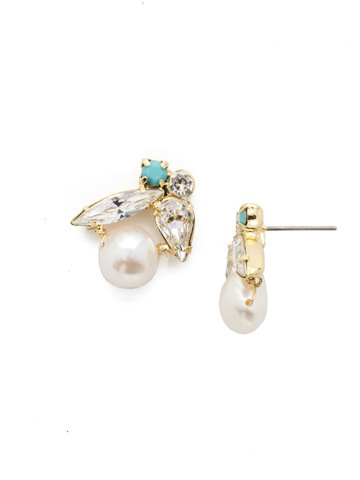 A set of asymmetrical studs featuring a large pearl and a delicate bunch of crystals. We're currently out of stock, but can make this just for you! Our quality craftsmanship requires 2–3 weeks for delivery.